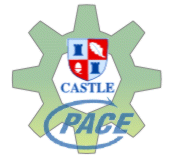 When we last spoke to Castle Technology, they promised us an FAQ that will clear up any questions concerning the handing over of RISC OS from Pace to Castle. Today, that FAQ has been published. RISCOS Ltd will continue to produce versions (including Select) of RISC OS 4. Castle also will encourage the production of a version of Select for RISC OS 5. Pace continue to develop, produce and sell the DSL4000 IP gateway from their Cambridge based office. Castle continues to ship its XScale Iyonix range, as well as granting new licenses (which don't overlap any existing exclusivity). Tematic Ltd would be the first point of call for all new embedded versions of RISC OS. The FAQ goes into detail in quite a few areas. Castle wish to maintain a single source code tree for RISC OS 5. This would allow RISC OS 5 to be deployed in desktop machines or mass-market consumer products with minimal modification. RISCOS Ltd. are therefore encouraged to continue working on desktop specific features and then migrate them across to RISC OS 5. In short, a complete merger of RISC OS 4 and RISC OS 5 isn't in the road map. There won't be a RISC OS 5 for RiscPCs and A7000s either. Finally, Castle's FAQ pretty much hammers in the final nail in Browse's coffin. Astonishingly, Castle would prefer it if you all used Oregano 2 than Acorn's way out of date but very much loved web browser. Although there's emphasis in the FAQ of Castle easing RISC OS into mass-market consumer products, the desktop market isn't being left out. First post!! Let's hope some news soon about the last point in the FAQ page! Personally, I'd quite like to get RISC OS 5 running on my A7000+. I know there's not a great deal of benefit (as the CPU is capable of executing 26-bit code), but I'd rather upgrade to 5.x than 4.x (it currently runs 3.71). Though Castle don't seem to be ruling this out, it'd be nice to know one way or the other whether there are any plans for it. The A4 RISC OS powered tablet or the ARM9 and ARM11 stuff? It's not often, if ever, that Castle tease.. The FAQ sounds quite positive, it also distinctly sounds that Castle want to see RISC OS succeed and they don't mind if that even means licensing to compeditors. Would it be more work to develop Browse up to standard as or making Oregano 2 more RISC OSy? Upgrading to RO5 instead of RO4 is silly. You'd loose all the benefits of Select. Also ROLtds development would falter if people didn't use them as a stepping stone to RO5. Hmm, that sounds rather harsh. Ah well. What possible benefit is RO5 on a RPC over RO4/Select? Just because they jumped version number, and added support for their new hardware, doesn't mean it's more suitable for a RPC, and you've lost YEARS of developments that are in Select. I guess if he has 3.7 he wouldn't miss select. And when select comes out for 5 he could get it. I think the advantage would be not being left behind (in the longer term) - after RO5 reaches parity with 4 select how long will they maintain two versions? If it's not viable to bring the developement HAL to release standard, will it still be viable to keep working on the RO4 kernel to keep parity? jess answered that rather eloquently... No, I wouldn't miss Select, as I've not had the pleasure of experiencing it - and even if I did, Castle are encouraging a version of Select for RO5. I can't honestly see that RO4 and RO5 are both going to be developed in tandem in the medium-to-long term - it just doesn't make sense. A version of RISC OS for older hardware can't just "go away" - as the majority of hardware out there is older, however much MD, Castle, et al, would like to encourage us otherwise. Given the sheer resources that Castle have compared to RISCOS Ltd in terms of development (the point simply being that Castle have some, and RISCOS Ltd don't appear to really have any), I can't see RO4 going anywhere, while RO5 will continue to evolve. The effort required to continue backporting everything that isn't new-hardware-specific will surely be a lot more than stablising the HAL for existing platforms. A question, though: What would I REALLY gain, besides some aesthetic niceties, by having RO4/Select instead of RO5, and would it justify the subscription? All Select seems to be is a few bug fixes, some prettying (if that's a real word, which I doubt), and a few things conveniently packaged up/now in ROM which are otherwise available (and perhaps the odd one or two which aren't). Apologies if that doesn't fill me with enthusiasm, but what happened to the world where bugfixes don't come with a hefty price tag? If Select is just pretty stuff and bug fixes, then what are you really expecting? The hardware Select runs on hasn't fundamentally changed in years, so the primary focus of development is logically the desktop and enhancing the user environment and experience. There are several possibilities I can think of. If it works with 77 file limits, then use the old filing system. put the select !Boot on a different FS - (leaving the old one as is apart from an old / new system selection) eg a different partition on a drive on a suitable interface or a virtual fs. I've had ROS4 for my SA Risc PC since it came out. I got it primarily for the new filesystem which supported long filenames & large discs, and because I could reduce my boot sequence as a lot of the updated modules where now in ROM. In short its been great. I've wanted Select since it was first advertised, great new desktop features that should have always been there. But I've been one of those people that is put off by the fact that the ROM image is soft loaded from disk. If ROL where to sell a version of ROS say sommat like ROS4.5 on ROM for a RPC which included the many select features i'd bite. Even if that meant the cost was twice the price of the current ROS4.02 ROMS. I could potentially sell my old ROS4.02 ROMS to my Uncle or maybe ROL would be willing to accept some sort of trade in as proof that I'd already paid for the ROS4 licence. Call me old school, but I still don't like the idea of my normal boot ROS machine loading the whole OS of disc, with the ROS4 ROM being relegated to nothing more than a PC BIOS with a nice setup tool (e.g. ROS4 without select or a disk). I know I'm already loading various ROM patches and extra modules, and that can take ages but that was one of the things that made ROS different from Windows. Now I know that the ROMS are slower, and that I would benefit from soft loading into RAM but... If the soft loading into RAM occured from the ROMS rather than the HD I'd be happy. Maybe I'd even be able to run ROS4.5 without a hard disk? Last thing Does select include the ANT Internet Suite now. I have the orginal one, and use PLUTO for mail over dialup, but I know it uses its own IP stack or sommat. I have the 10M LAN card and am able to talk to the PC Network (SAMBA etc) but I'm not sure how I could convice the Fresco to use the LAN rather than the modem, and still be able to switch back to the modem when required. chas: I have never had ant internet suite before select, (I had dial-up - then I moved to smoothwall and netfetch, now adsl router and netfetch) Fresco works fine (I only installed it and had to manually createplace a file or two somewhere). I'm curious as to why you need to use the modem. The ROM issue troubled me at first, but in practice is fine. (Since select is being continiually developed regular new real ROMs wouldn't be very cheap). To be honest, I don't have a big problem with RO4, except that it looks suspiciously like it's dying out - ROL have practically zero resources, and Castle are pushing RO5 - where does that leave RO4? Select, on the other hand, doesn't exactly seem to scream value for money. Even for Windows, bugfixes are free downloads now. diomus: RISC OS running on old hardware doesn't prevent the addition of major new features. Yes, there's stuff older machines aren't capable of doing, but there's plenty they can. You can't seriously be telling me that the only thing that RISC OS needs are a few minor utilities and a bit of beautification? mckinlay> I think you're probably being a tad unfair to RISC OS Ltd, Select is *not* simply a set of "bugfixes". The difference is (arguably) more akin to the difference between Windows 2000 and XP - yes they're based on common technology (to a very large degree) but with some improvements made and an extensive change to the GUI. MS may make bugfixes available for free (but remember you *paid* for a working OS to start with so let's not get too enthused at MS's generosity), they *do* however charge when you upgrade from 2000 to XP - Just as RISC OS ltd charge when you opt for Select. ams: Okay, I'll accept that Select is not just a set of bugfixes (though nobody's answered my earlier question -- what does Select get me?). Your 2000/XP comparison is slightly flawed (there were a huge number of under-the-hood changes between the two, for example), though I get what you mean. As far as paying for Windows is concerned -- I didn't pay for Windows any more than I paid for RISC OS -- both ship with the machines. In the case of Windows, I get free updates (and an -easy- way to install a different OS on there too, but that's a whole other issue). In the case of RISC OS, I have to pay for all but the very minor of updates, and I have to pay for applications which on every other platform ship as part of the OS or are available freely. Sorry, still doesn't sound like a great deal to me. Let's face it - RISC OS *isn't* a great deal, financially, compared to other operating systems. Both on the OS, hardware, and software. Incidentally, it's just not true that people aren't going to switch from Windows to RISC OS. My girlfriend is a case in point; she's extremely interested, and she knows the price tag. Could the work done in Aemulor be used to allow current CMT apps to run in a new PMT RISC OS? Personally I'd love to see RO5 'ported' back to the RiscPC/A7K, if only for environmental reasons - I don't like the idea of old machines being thrown out if they are fast enough to perform the desired task - sadly most machines are thrown out because software has become less efficient. But I think our chances of seeing an OS that can run 26-bit only, 26-/32-bit neutral AND 32-bit only code are virtually nil. RO5 only runs apps that fall into the latter two categories. Which means that if you upgraded your RiscPC to this theoretical RO5 you would lose the ability to use those apps which are still 26-bit, eg. Impression, Sibelius, Eureka, PipeDream plus (from our feedback @ Aemulor) many lesser-known but still frequently-used apps. From experience I can tell you that this is no small amount of work. For those of you who are wondering "why can't we just run RO5 + Aemulor" on our RiscPCs, Aemulor relies upon hardware features that're unique to the XScale processors...ie. not present on the StrongARM; it wouldn't be possible to emulate 26-bit code at the same speed in the StrongARM's 32-bit mode (at least, not without a radically better approach that I haven't yet thought of! > Could the work done in Aemulor be used to allow current MT apps to run in a new PMT RISC OS? Yes it could.... or, at least, it would help if your apps are 26-bit RO ARM code & your OS isn't ARM-based, in the sense that Aemulor provides a fair wodge of RO functionality but in portable code (C)...but, to be fair, even the latest x86 hardware can't run ARM code at speeds comparable with native hardware, with the current emulators anyway. More directly, the problem with making a new PMT RISC OS has less to do with the apps, and more to do with the WindowManager, FileSwitch & other filing system modules plus, of course, the RISc OS kernel..... and then, after you've got that lot working, you run into 'trivial' stuff like system variables which, traditionally, have global scope and yet Obey$Dir - for example - will almost certainly cause things to break. PS. If ever you run out of hope, remember some folks are idiots and do things for free! You would only loose the ability to run 26 bit apps if RO5 were supplied on ROM, an arrangement like select could allow booting up with the system's current OS for 26 bit apps. Nobody seems to have asked about !Java ... and there's nothing in the FAQ. Anyone? It's most probably in the same situation as Browse - way out of date and not enough time/demand to update it. Has anyone heard whats happening to the legacy Acorn code that Pace had? I'm refering to such things as the BBC OS, ROMs, early RISC OS applications and the like. Does Castle have these now? Would they be willing to allow distribution of the BBC ROMs?